Sesame Street Workshop are engaging in community outreach and education in Nigeria to address the stigma of AIDS, orphans and vulnerable children. Mission staff are working with the Sesame Street Workshop to bring a local content version of Sesame Street to Nigeria. In addition to the television broadcast show, Sesame will do outreach through traveling performances which will focus on reducing the stigma of orphans and vulnerable children. In addition to a monetary commitment of $7294000 Sesame workshop made an in-kind donation of $204,000, bringing their total contribution to $7.5M. Sesame Workshop is the nonprofit educational organization behind Sesame Street and so much more. Sesame Workshop, formerly known as the Children's Television Workshop (CTW), is a Worldwide American non-profit organization behind the production of several educational children's programs that have run on public broadcasting around the world (including PBS in the United States). 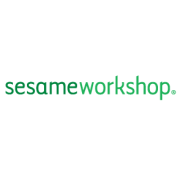 Sesame Workshop was instrumental in the establishment of educational children's television in the 1960s, and continues to provide grants for educational children's programming four decades later. Joan Ganz Cooney and Lloyd Morrisett were the original founders, with the intention of producing a revolutionary television series based on cutting-edge research into childhood learning. The result was Sesame Street, a landmark program which has been reproduced in countries around the world. Although it was originally funded by the Carnegie Corporation and the United States Office of Education, the majority of the Workshop's funding is now earned through licensing the use of their characters to a variety of corporations to use for books, toys, and other products marketed toward children. This ensures that the Workshop has reliable access to funding for its programming without depending on unpredictable grants. Beyond ABCs and 123s, the programs deliver crucial lessons about health, emotional well-being, and respect and understanding to help kids grow up healthy, happy, and at home in their world. It began as a simple yet revolutionary idea in the United States: to teach kids through television. 40 years later, it’s grown into a worldwide educational phenomenon, reaching millions of children in more than 150 countries. Their international programs are tailored to the unique needs of children, their country, and culture, created with local educators, advisors, and puppeteers. This often results in a fully local Sesame Street with its own name, language, curriculum, and Muppets. Since their start on TV, they have become a multimedia pioneer, using everything from radio, books, and videos to the latest in interactive media and technology, efforts that are enhanced through collaborations with the colleagues at the ground-breaking research and innovation lab, the Joan Ganz Cooney Center. Generous support from like-minded partners — foundations, corporations, individuals, governments, and others — has been critical to the mission for more than four decades and continues to make new projects possible. Sesame Workshop’s mission is to help kids grow smarter, stronger, and kinder. The recipe for success is combining a curriculum that addresses children’s critical developmental needs with the sophisticated use of media and a large dose of fun.